It looks like my caladium has finally made peace with the full-sun exposure of my balcony garden. For the longest time, I wasn’t sure if it would make it. Many of the vibrant leaves—a splattering of ruby red over white over lime green (a little like an abstract canvas)—had turned brown and shriveled at the edges. But remarkably, it’s rebounded! The sickly looking leaves have fallen away, and the new leaves are healthy and standing proud. their positions (because you’ve changed your mind) can cause some plants to react—badly. All you can do in such instances is be patient and be doting. Treat them gently and give them ample water—with a little plant food added for good measure. In the case of my caladium, one of the things I hope will ease the situation are the surrounding plants. As they fill in perhaps some can throw a little shade its way. I recently added a purple angelonia just behind the caladium, and as its potential height could exceed a foot perhaps it’ll provide a little cover during the hot summer months to come. 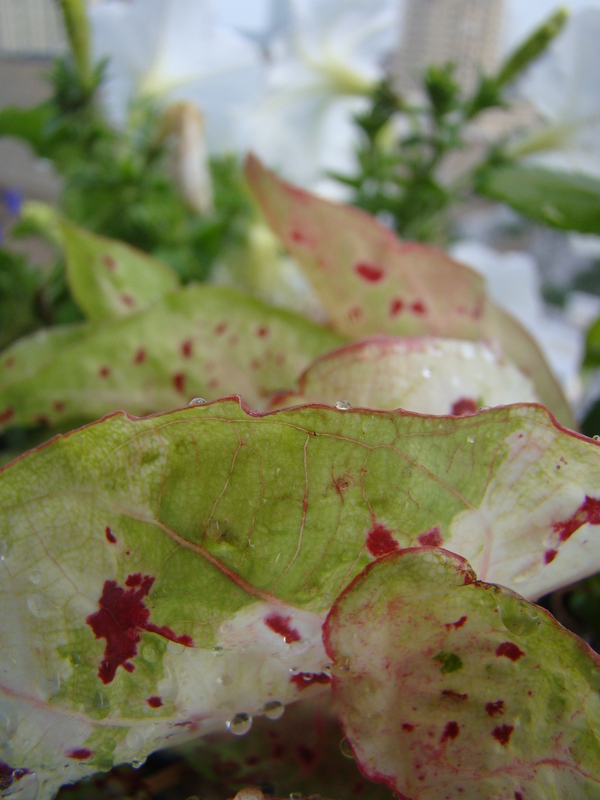 I believe if we did a genealogy on caladium it would trace to the hot tropical climes of South America, so perhaps it’s saying, no, cultivation as a shade-lover and reconnecting with its roots. 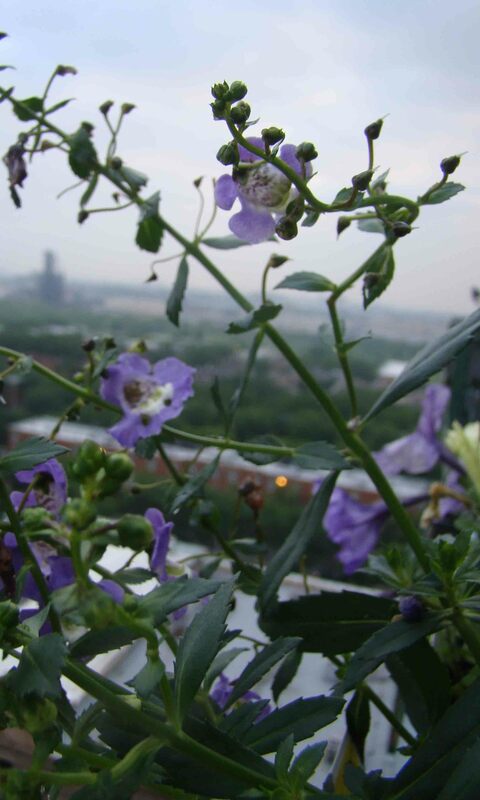 What have your experiences been with plants adapting to new settings? What did you do to ease the transition?